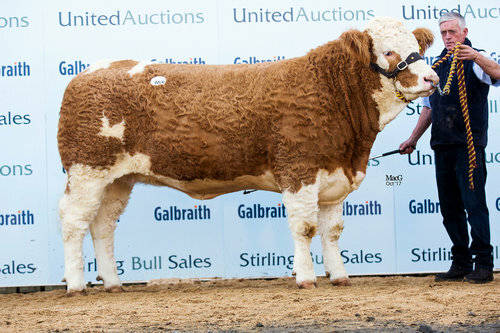 The club’s fund raising activities included a charity raffle, which featured a number of prizes including a pedigree Simmental heifer or £2,000. The in-calf heifer Drumbulcan Honeybee, was generously donated by County Fermanagh herd owners Kenneth and Avril Stubbs and family. Rounding off the club’s 2018 fund raising campaign was its annual charity BBQ and auction in Dungannon which attracted 250 people. Presenting the cheque club chairman Conrad Fegan thanked Simmental breeders and members of the public for their support and donations. “Air Ambulance Northern Ireland was our chosen charity for 2018. I am proud to present this cheque in memory of our long-standing committee member Thelma Gorman who tragically lost her life in a farm accident last year. 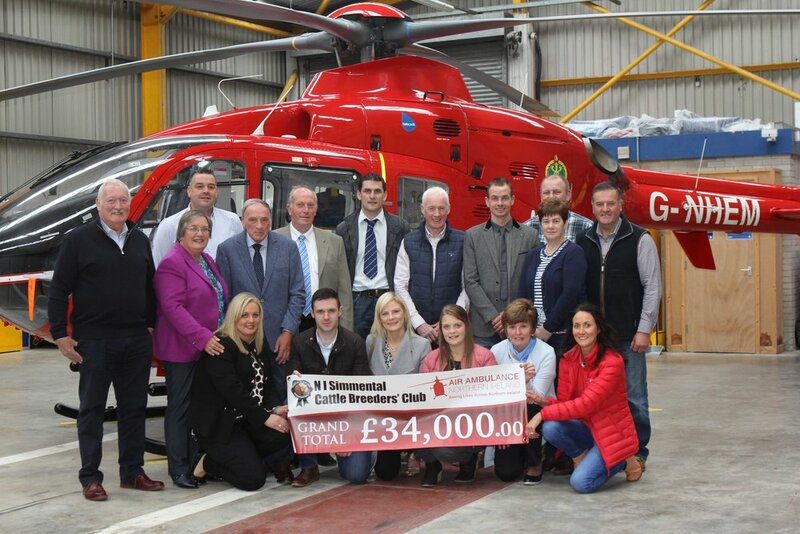 Office bearers and committee members of the NI Simmental Cattle Breeders' Club recently visited the headquarters of Air Ambulance Northern Ireland to present a cheque for £34,000. Included are AANI trustee Rodney Connor, and the charity's head of fundraising Kerry Anderson. Kenneth and Avril Stubbs, Drumbulcan Herd, are pictured at Air Ambulance NI's operational base at the Maze, with Conrad Fegan, chairman, NI Simmental Club; and the charity's Kerry Anderson.